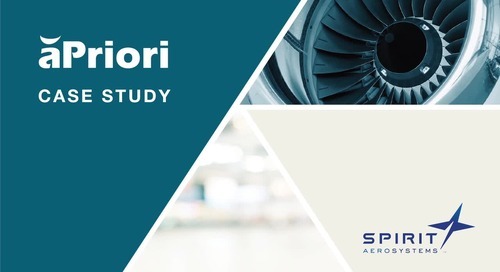 Hear how Spirit Aerosystems uses aPriori's product cost management tool to design their products to cost, reducing costs dramatically. 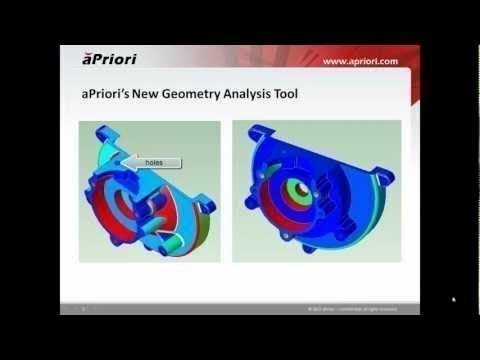 What Will My Design Cost to Produce? 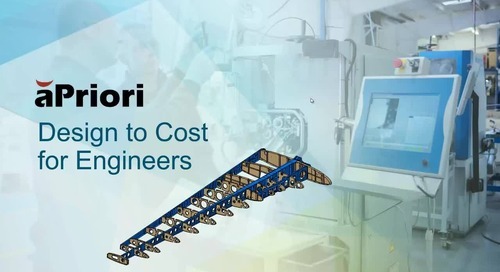 Design engineers looking to reduce the number of red line drawings they receive back from manufacturing will find valuable information in our white paper on design to cost. 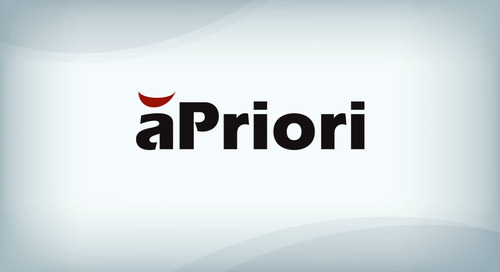 Read now. 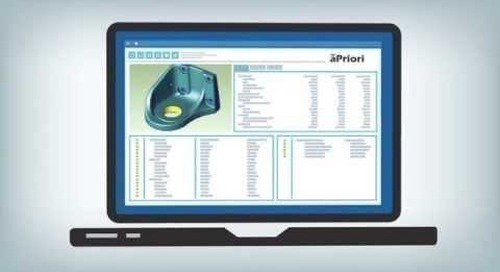 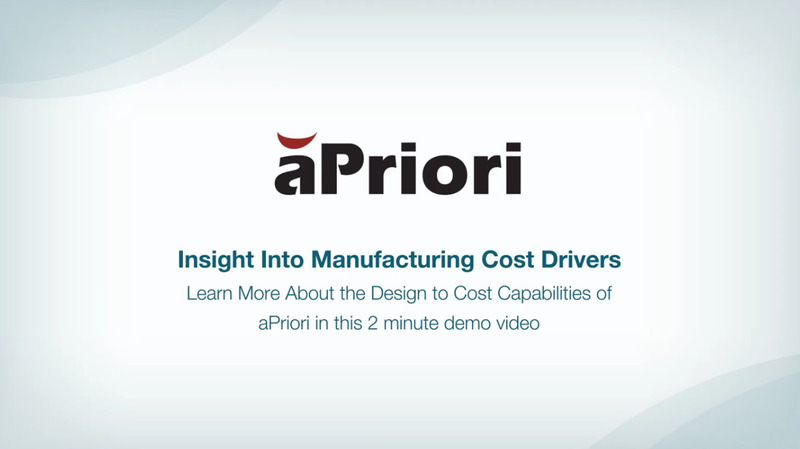 Watch this webinar to learn how leading manufacturers identify and eliminate cost drivers in early design with aPriori. 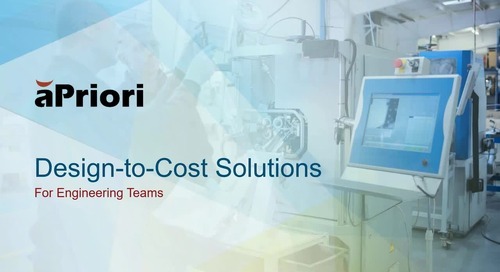 Current products provide the biggest, short-term opportunity for reducing product costs. 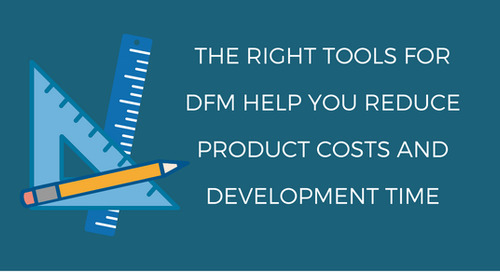 Learn how by downloading this white paper. 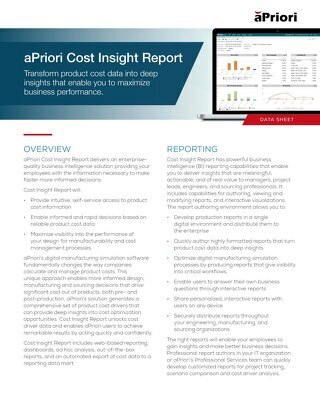 Maximize visibility into the performance of your product cost management process with aPriori's Cost Insight report. 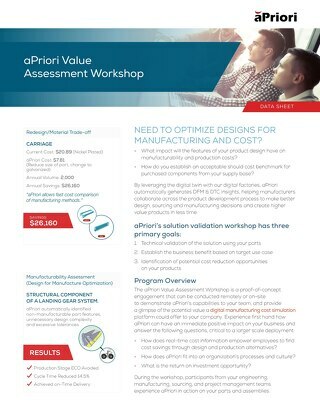 The aPriori Technical & Business Validation Workshop provides a glimpse of the potential value a product cost management platform could offer to your company.